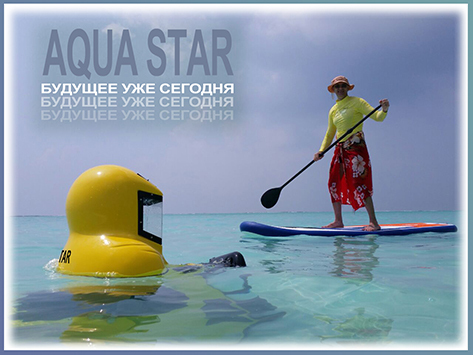 Company «AQUA STAR» was founded in 2005 and consisted of three people. To the basis of the company the idea of creating the best world underwater motorcycle was underlained. 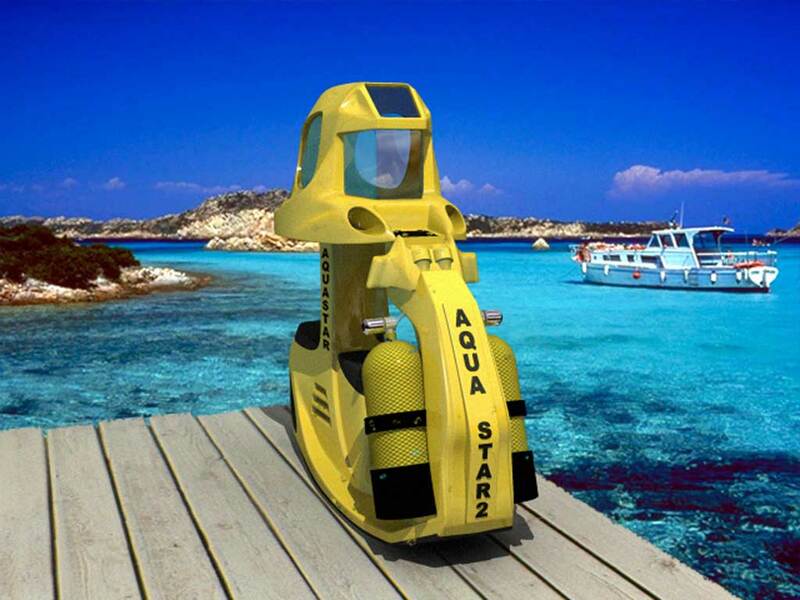 During the one year we were engaged in the design and elaboration of «AQUA STAR». Having an experience in working with foreign counterparts, we tried not to repeat their mistakes, and chose our own approach for solution of many problems. The main goal was to create a lightweight, reliable, affordable underwater vehicle, and to make it popular on the resorts. By the end of 2006, the number of the company quadrupled. Designers, sculptors, artists, specialists in plastic, assemblers, etc... All are enthusiastic and know their job. At the beginning 2007, we, inspired by the work, began to build the first Russian underwater motorcycle. Ahead of us there were numerous tests and inspections on the strength, various settings and system set-up, and only towards the end of the summer of 2007 the apparatus was ready to show. September 18 in the city Gelendzhik was the first presentation of «AQUA STAR». 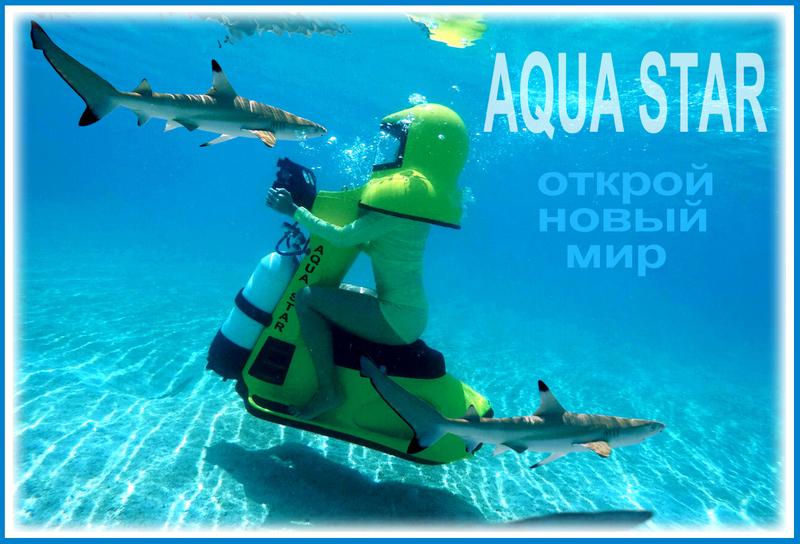 After half of a year the company «AQUA STAR» released the first serial vehicle. Now the specialists are engaged in the development and creation of new types of underwater tourist transport. 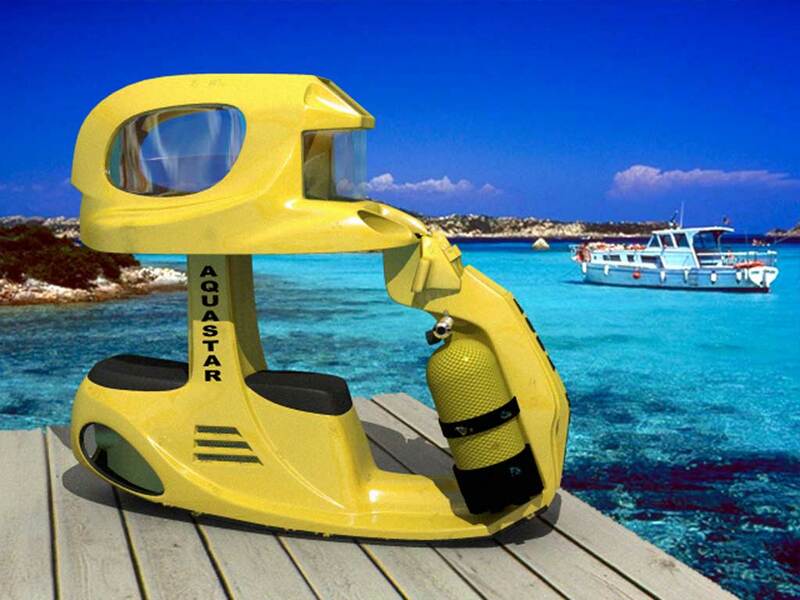 Company «AQUA STAR» designed and developed the world's first two-seated apparatus «AQUA STAR 2". At the beginning 2009, the apparatus was presented to a wider audience. The principle of the project was creation of a transport, piloted by a professional instructor. The role of the passenger, is given to all comers, ready to plunge into a beautiful underwater world. Priority development of Aqua star - Orca. In September 2008 we started the development and creation of the underwater apparatus of dry type «AQUA ANGEL». 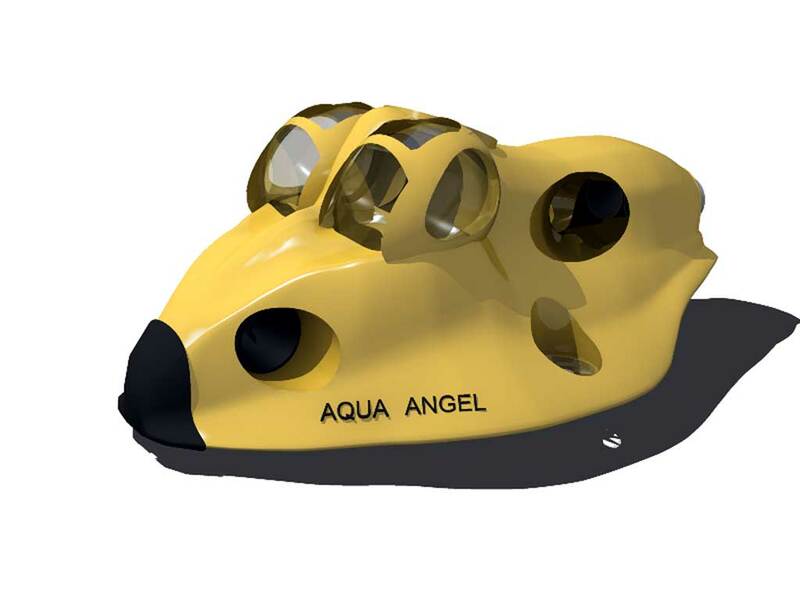 «AQUA ANGEL» is also intended for tourist trips, his diving depth is as far as 20 meters. 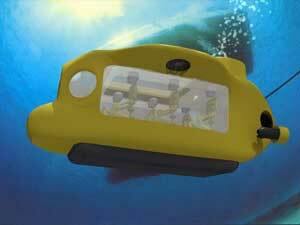 The apparatus is equipped with 5 engines, which allow it to navigate under water in all directions. Apparatus management is performed with duplicated joystick, so that a passenger, in the case of favorable circumstances, can also pilot the machine. In the future the company is planning the creation of multi-seated vehicles. For desirous to walk under the water and feel like an astronaut, who landed on the moon, we have developed an underwater helmet. An unforgettable fairy-tale sense of low gravity makes you to navigate jumps, so if you're on the moon. Flat glass provides an excellent visibility.